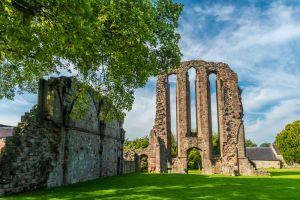 Croxden Abbey is a ruined Cistercian monastery dating to the 12th century. It was founded in 1176 at Cotton, but the monks moved here to Croxden in 1179. Bertram de Verdun, Lord of Alton, founded the abbey for monks from the Norman abbey of Aunay-sur-Odon. The church took over seven decades to build and was finished in 1254. 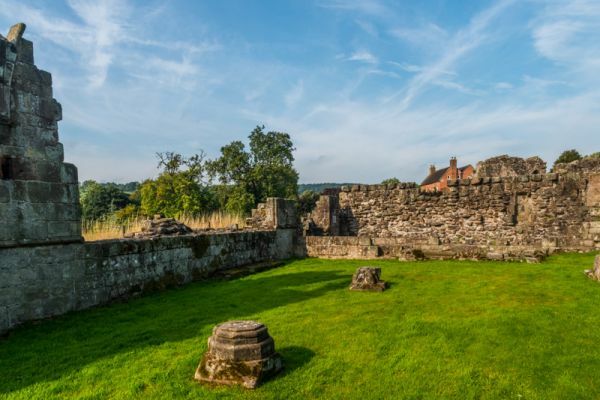 Croxden began as a very small abbey but grew in the 13th century to sustain over 70 monks. 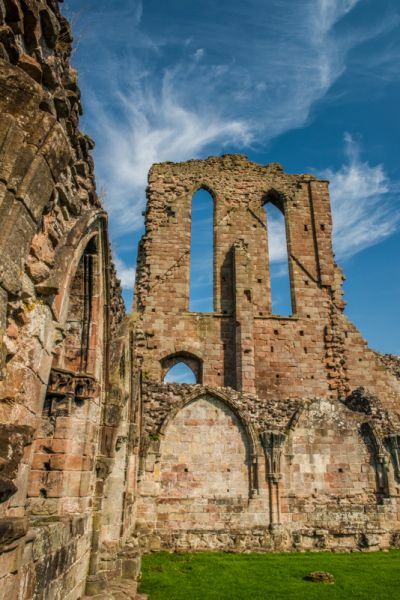 However, the 14th century saw an accumulation of disastrous events, from plague and crop failure to cattle disease, and the abbey suffered badly. It managed to survive until the 16th century and was suppressed by Henry III in 1538. Parts of the monastic buildings were converted into farm buildings under the ownership of Francis Bassett, a servant of Archbishop Cranmer. Among the surviving features of Croxden is the infirmary, where sick monks would have been cared for. 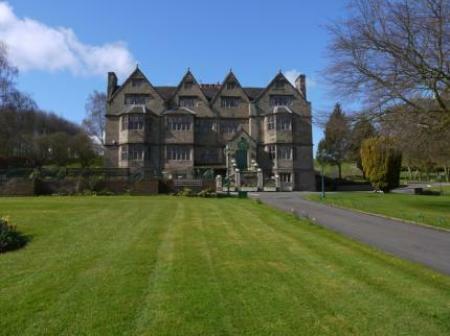 It is possible that this would have been used for general accommodation before the abbot's lodging was built in the 14th century. 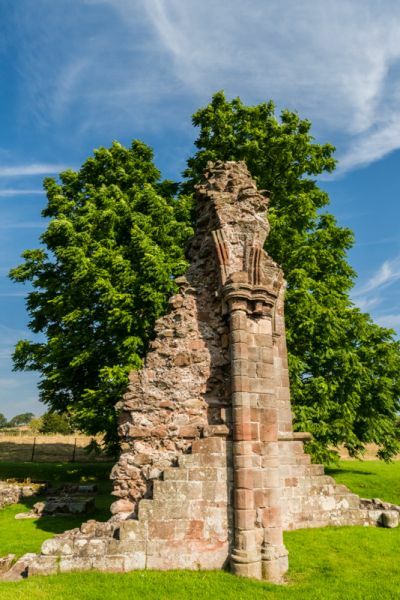 There are also remains of the church, chapter house, parlour, undercroft, day stair, and Abbot's lodging. The plan of the church is worth noting; the east end of the church was semicircular, with five radiating chapels linked by an ambulatory. This is unusual in an English church, but very common in French church architecture, so it seems likely that the design was influenced by the de Verdun family, who owned property in Normandy, and would have been familiar with continental designs. 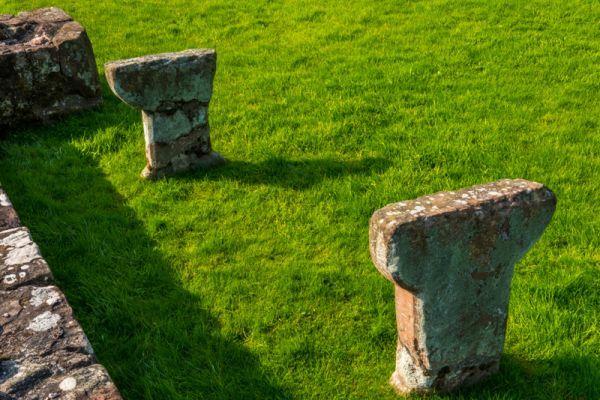 Croxden is located on minor roads, north of Uttoxeter, and feels a million miles from anywhere. The location is superb, with a few farm buildings and period cottages, and a small 19th-century church peeking out of a nearby copse of trees. There is no visitor centre or ticket booth, just an English Heritage information sign and a gate. A few finds from the site are protected under a modern awning, but apart from that, you can simply wander the site. 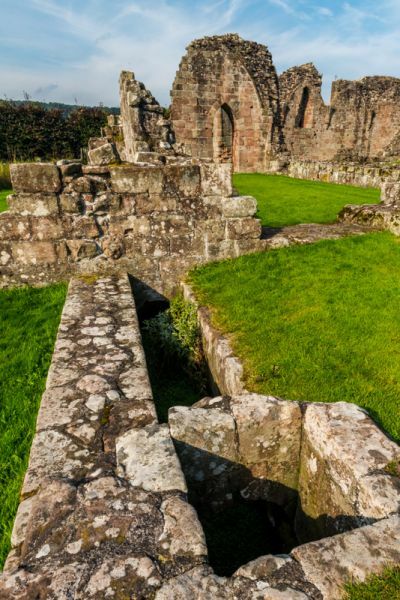 Many of the major areas of the abbey are signposted, though it would be helpful to have a few more information panels to explain the layout of the abbey and its history. The road through Croxden cuts right through the abbey church, so the east end of the church is on one side of the road and the rest of the abbey is on the other. The east end is fascinating; you can clearly see the unusual radiating chapels around the altar, and there are several medieval coffins set into the turf near the altar. Naturally, our kids decided to lie down in the coffins, but several were quite small, suggesting they were made for someone of short stature. Near the coffins is a small area of surviving medieval floor tiles set into the ground. 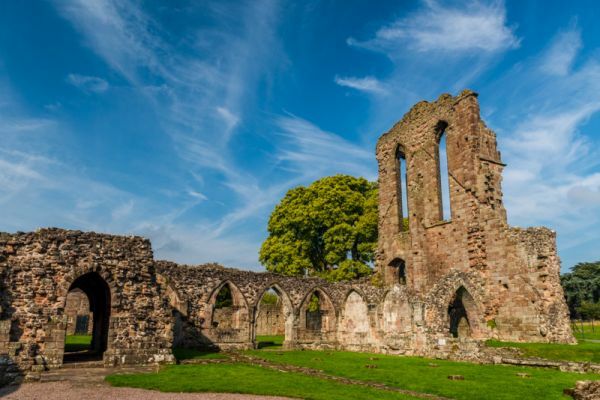 The most striking part of the abbey is the west front of the abbey church, built around 1195. The wall stands to almost its full height and is pierced with three huge lancet windows, with a doorway under the central window. Another thing that struck us was the drainage system. 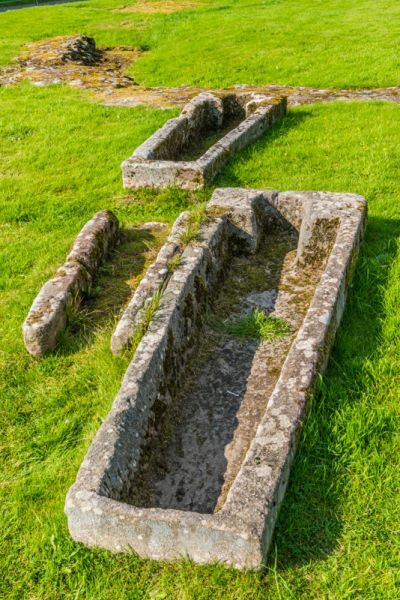 You can easily trace the course of the stone-lined drains beside the main buildings; they are built to such a high standard that they look perfectly serviceable today. I loved visiting Croxden; the idyllic rural beauty of the site is second to none, and the height of the surviving medieval walls is extremely impressive. 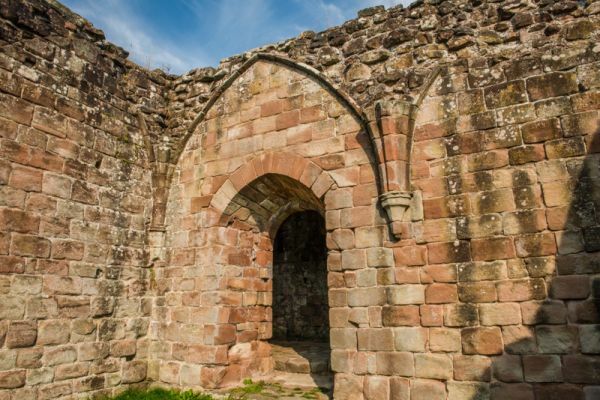 It can't compete with large monastic sites like Fountains Abbey or Rievaulx (few can) but Croxden is a lovely example of a small medieval monastery in a beautiful countryside setting. Location: On a minor road 4 miles north of Uttoxeter. Seasonal opening.